In the last two months, almost every major newspaper and brokerage firm has reported that Apple is going to launch a mini version of the Apple iPad. The majority are looking for a screen size of 7.85 inches and the launch date is either September or October. The latest report is from KGI Securities analyst Ming-Chi Kuo. 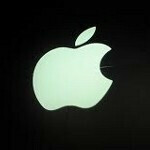 Kuo expects an early September launch of the next Apple iPhone followed by the release of the smaller sized tablet. But because of component shortages, and the limited time it will be available in the quarter, he expects sales of the Apple iPhone to show only a modest rise from the 26 million units sold in Apple's fiscal third quarter. That release on Tuesday led to an after-hours decline of over 5% in Apple's shares. Later in September, Kuo sees Apple releasing its mini iPad. Starting with sales of 1.8 million units in the short time it will be offered in the quarter, he sees the smaller version outselling the third generation Apple iPad in the company's first fiscal quarter of 2013 with sales of 13 million units vs. 11 million for the larger model. The analyst also predicts that Apple will be "tweaking" the third-gen tablet to address what he calls "thermal issues" and trying to reduce costs. These changes will be invisable to users unlike earlier reports from DigiTimes that Apple would be switching to a thinner IGZO display with its larger tablet during this time period. Kuo sees big things happening for Apple during the Cupertino firm's fiscal first quarter. More specifically he sees 55 million units of the Apple iPhone sold thanks to the new model, and 24 million Apple iPads sold thanks to the new mini version. While you can never tell how investors will react to news, figures like those should be able to get Apple's equity moving higher again. I'm guessing it's going to cost more than the Nexus 7 with lower specs. But ppl will still buy it because it has a fruit on the back. Just guessing. iPad Mini is already out. It's called the iPod Touch. 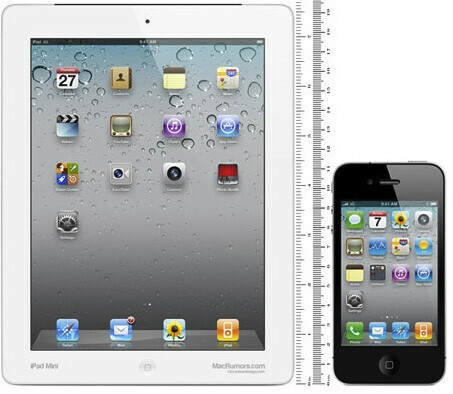 Agreed,especially when the new ipod touch will have a 4 inch screen to mirror the new iphone. Also the size difference between the ipad mini screen and the 'bigger' one is about 2 inches so its not exactly that much smaller. Still apple will make it their business that fans will be convinced to buy the ipad 'mini' even if they already have just bought the current new ipod,plus buy the iphone 5.
even the iphone 5 is coming in september.....so will we get back the famous "one more thing" during the event?